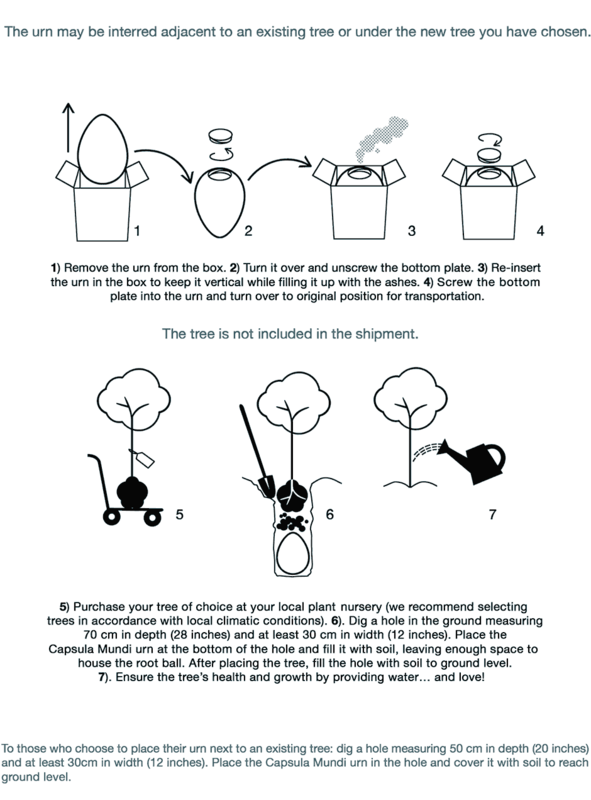 By purchasing the Capsula Mundi biodegradable urn you are contributing to an important cultural shift. The Sand Capsula Mundi biodegradable urn has a natural beige-gray tone, with evenly distributed sand particles creating the effect of a natural surface. 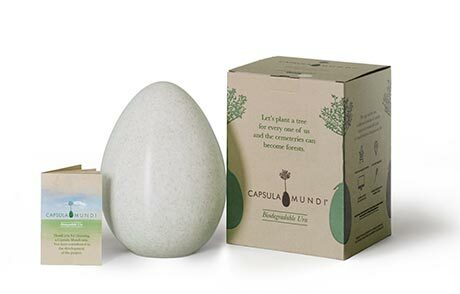 Each piece is unique; no two Sand Capsula Mundi biodegradable urns are the same. The White Capsula Mundi biodegradable urn is a pearly-white color, not a brilliant white, created by using fully biodegradable material in the production process. The surface has a uniform shade and with a very slightly shiny, satin finish.